WikiLeaks said that its founder Julian Assange is confident of winning 'any fair trial' in the U.S. and indicated that the founder of the whistleblowing website would stand by all the promises he had made in return for clemency to Chelsea Manning, the former U.S. soldier who disclosed classified data relating to the Iraq War to the site. On Tuesday, Manning’s prison sentence was commuted by U.S. President Barack Obama raising questions whether Assange would keep his part of a deal he proposed online, and agree to extradition to the U.S.
WikiLeaks has recently also been a thorn in the side of the Democrats in the U.S. by releasing embarrassing emails leaked from the Democratic National Committee that showed that the organization had favored candidate Hillary Clinton over her rival Senator Bernie Sanders for the party nomination for the presidential elections. It also published mails from the account of John Podesta, chairman of Clinton's campaign. U.S. government officials including from the Department of Homeland Security and the Office of the Director of National Intelligence have pointed a finger to Russia for orchestrating the leaks, though WikiLeaks has said it does not collaborate with states in the publication of documents. Last week, WikiLeaks had tweeted that if “Obama grants Manning clemency Assange will agree to US extradition despite clear unconstitutionality of DoJ case.” On Tuesday, WikiLeaks tweeted that Assange was confident of winning any fair trial in the US. “Obama's DoJ prevented public interest defense & fair jury,” it added. The new administration of President-elect Donald Trump takes charge on Friday. 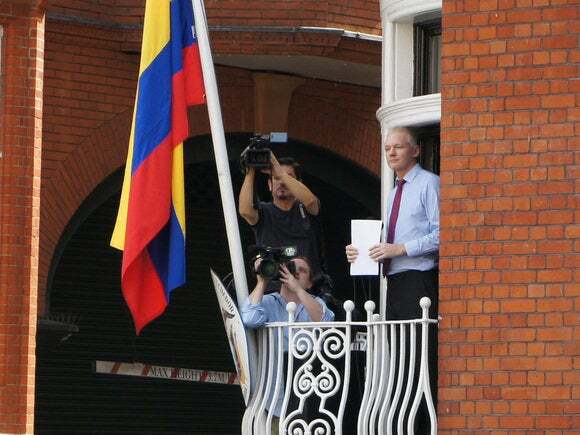 Assange is holed in the embassy in London of the government of Ecuador as U.K. police say they will arrest him if he comes out, to meet an extradition request from Sweden where he is wanted for questioning in a sexual assault investigation. His supporters have expressed concern that if he he is sent to Sweden he could be extradited from there to the U.S. to face espionage charges. A wrinkle is that WikiLeaks claims it does not know of an extradition request sent by the U.S. In a tweet on Tuesday, Taylor wrote that “US authories consistently affirmed is ongoing national security prosecution against him, but refused 2 affirm/deny sent extradition request.” She added that the U.K. also refuses "to affirm or deny that they have received an extradition request -not the same thing as there being no extradition request." Government officials in both countries could not be immediately reached for comment after business hours. In a letter to Loretta E. Lynch, U.S. Attorney General, Assange's lawyer in the U.S., Barry J. Pollack, wrote in August that although the Department of Justice had publicly confirmed through court documents and statements to the press that it was conducting an on-going criminal investigation of Assange, the department did not provide him substantive information on the status of the investigation. The letter was published online by WikiLeaks. The pending investigation into Assange, mentions of which are said to have been made in court documents in the Manning case, is plainly based on his news gathering and reporting activities, Pollack wrote. Its intention was not to aid U.S. enemies or obstruct justice but to inform people about “matters of great public interest,” he added. In a statement on Obama's decision to commute Manning's sentence, Assange said that "in order for democracy and the rule of law to thrive, the Government should immediately end its war on whistleblowers and publishers" such as WikiLeaks and himself. The statement did not refer to his promise to face extradition to the U.S.
"Mr. Assange should not be the target of any criminal investigation. I would welcome the opportunity to discuss with the DOJ the status of its investigation, any request it wants to make for extradition, and its basis for such a request," Pollack wrote in an email late Tuesday.